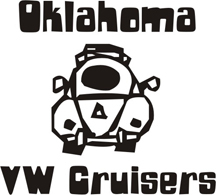 Oklahoma Vw Cruisers • Anyone Live in NW OKC?? Anyone Live in NW OKC?? I'm looking for a rent house in the NW side of OKC, preferably a quiet neighborhood that must have a two-car garage and allow pets (cats). I would also entertain looking at a rental in Edmond. Overall, the residence needs to be somewhere in between the OKC airport and UCO in Edmond. I've been scouring Craigslist for rentals but am not certain which areas would be preferable over others. My high limit for rent is around $1,100/mo. Re: Anyone Live in NW OKC?? you sell your house out in the country? The plan is to list it by the end of spring. I have a son looking, might make an as is deal with you, he has cash. I can post when the date gets closer. i pay half that and my house is on 3 lots with a 2 car 3 bed 2 bath so you should not have any problem finding something. Decided against renting and am going to buy a house. Found what appears to be a nice one west of I-35 in Norman and will be looking at it tomorrow. If I like it, I'll tender a cash offer. vdubjim wrote: NW okc to norman? Kinda what i was thinking also ! Why the dramatic change ? I live in Norman anyway albeit east of Lake Thunderbird, so it's no big deal (at least to me). Based on what I saw and evaluating my priorities made me realize that moving to NW OKC wouldn't work out like I thought. I've had people trying to talk me into moving to the Mid-Del area, but I have no desire to live near or around current & former military. West of T-Bird. My son bought in bridge creek so he's close to mommy (he's almost 34, ) got a repo for $35.9k cash. "but I have no desire to live near or around current & former military." Kind of harshing my former military status and my Mid-Del lo-cal in the same sentence.... Day-um (to quote the Gimpster)! !